VI-Spring products are meant to be purchased inside our store, where you may sample them. Items purchased online or over the phone may not subject to warranty nor other standard policies. Delivery fees will be determined and billed separately! 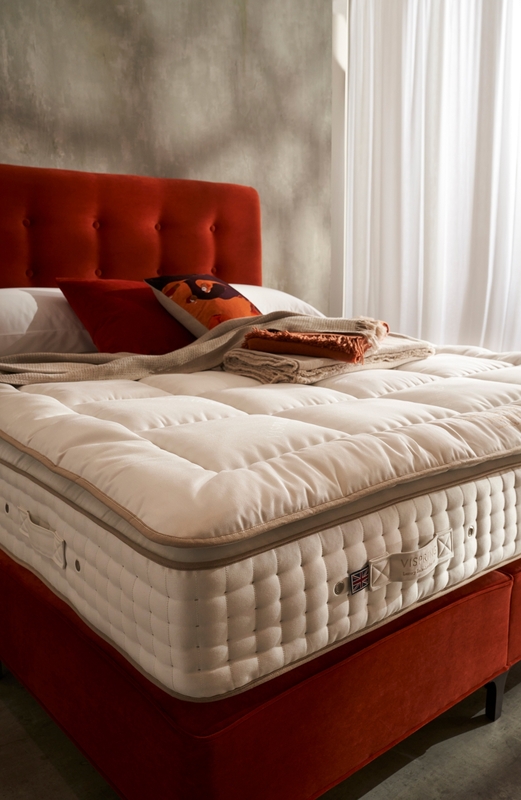 VI-Spring's Heaven mattress toppers are designed to provide an extra layer of enveloping softness to bespoke beds. 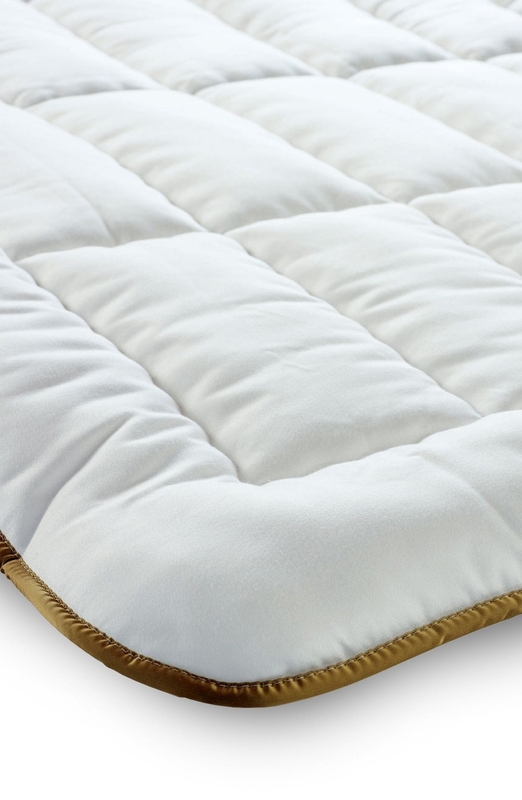 They are made with VI-Spring's own mattresses in mind, but are also a good option to add extra softness and a more traditional feel to a firm latex mattress. 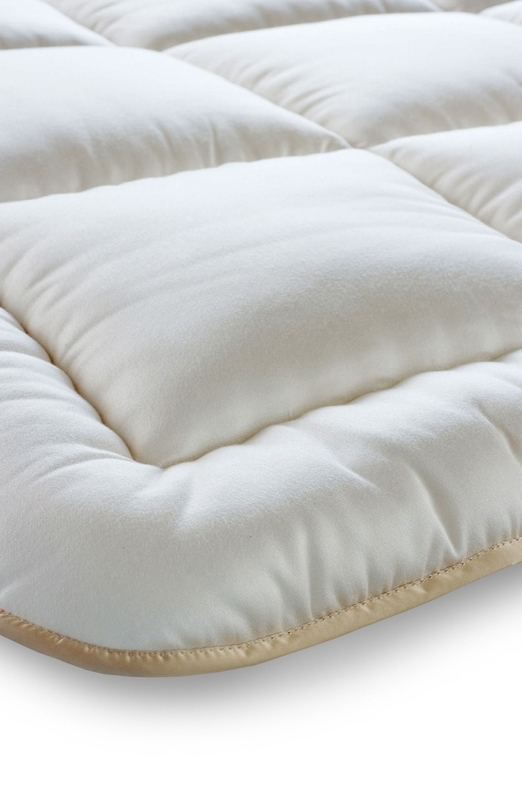 The standard topper is just under two inches thick, and is filled with Platinum Certified British fleece wool and soft needled British wool. The Heaven Luxury topper is slightly thicker, and includes cotton blended with the wool content. 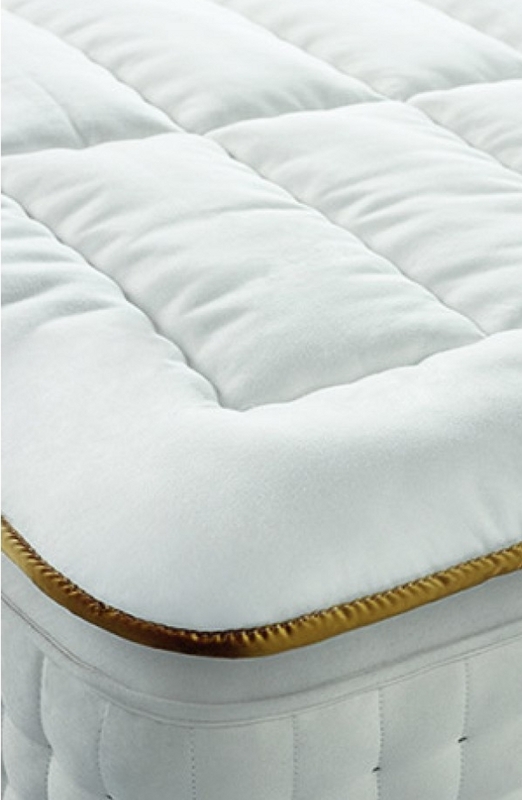 The premium 'Luxury Supreme' version is twice as thick as the standard topper, and is filled with springy, resilient South American Horsetail in addition to the existing wool content. The standard Heaven and Heaven Luxury toppers are edged in Mandarin Imperial Gold by default. THe Heaven Luxury Supreme topper is edged in Mandarin Sand.